Stellar CIO Farid Jarrar says there’s been “monumental change” in the contact centre world in the past two years, a top challenge yet rewarding task for him as CIO leading the company’s internal and external stakeholders towards significant transformation. IT leaders gathered at Melbourne's Cecconi's restaurant to discuss the role modern omni-channel contact centres are playing in improving customer engagement to help organisations remain competitive. 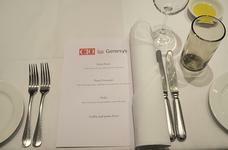 The roundtable luncheon was sponsored by Genesys. Avaya sees opportunities for growth in the Australian mid-market as it continues its move from a primarily hardware and software company to a software and services business, according to Tony Simonsen, Avaya's MD for Australia/New Zealand. This report looks at the five-year cost comparisons for technology infrastructure deployment.